Why Are College Students Getting Anxious and Depressed? It appears that 1 out of every 5 college students in the US suffers from anxiety or depression. With the statistics showing that there are over 20 million college students in America, that equates to at least 4 million who are unhappy enough to be anxious or depressed. What causes this is a matter of huge debate, as the percentage of students suffering has increased in the last few years. We are not talking illegal drugs at this point, but prescription drugs that students, and their parents request. Often, they will approach their doctor for stimulants to help them get through exam times. They want something to keep them awake for longer hours so they can revise more, as they are starting to feel anxious about their grades. This creates a problem for two reasons. Firstly, a lack of sleep is not the way to keep you feeling on top of the world, and secondly, the known side effects of drugs such as Adderall and Ritalin include anxiety and depression. These drugs are perfectly safe when they are used to treat the problem they are meant for, but to use them as a stimulant can have very bad side effects for the user. A sensible doctor will refuse to prescribe them, and perhaps advise a consultation with a psychotherapist to discuss their problems. You would think that technology would be useful to college students, and most of the time it is. However, excessive use of things such as social media can have an adverse effect on them. Some students almost live two lives, their virtual one and the real one. The two can become intertwined, and that is when problems begin to surface. Several studies have shown that being addicted to social media or generally overuse of a mobile can affect sleep patterns and cause anxiety and depression. One study showed that at least 50% of students wake up in the night to check and answer any messages. This produces a poorer quality of sleep and is likely to lead to anxiety or depression. 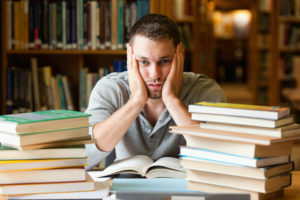 It appears that these are the two main things to make college students anxious or depressed, but there can be other factors such as homesickness, financial worries and concerns over whether they will be able to find work once they have graduated. 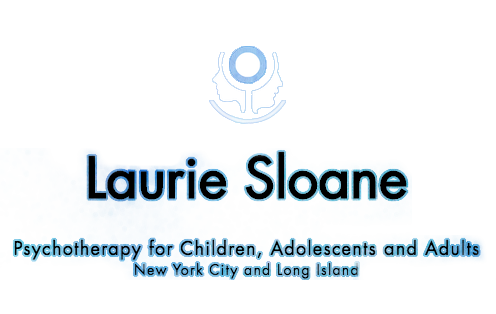 Many of these things can be put into perspective with help from the right person, which is why you should contact us today to schedule an appointment with the best Psychotherapist in NYC. Contact us at 212-413-7088 to schedule a consultation. It appears that 1 out of every 5 college students in the US suffers from anxiety or depression. With the statistics showing that there are over 20 million college students in America, that equates to at least 4 million who are unhappy enough to be anxious or depressed. How Do You Feel About Thinking About Your Future? Can Cognitive Behavior Therapy Improve Quality of Life? How Long Does Psychotherapy Take to Work?